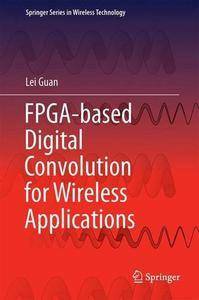 This book presents essential perspectives on digital convolutions in wireless communications systems and illustrates their corresponding efficient real-time field-programmable gate array (FPGA) implementations. FPGAs or generic all programmable devices will soon become widespread, serving as the “brains” of all types of real-time smart signal processing systems, like smart networks, smart homes and smart cities. 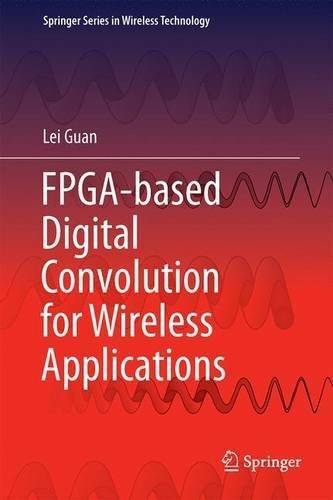 The book examines digital convolution by bringing together the following main elements: the fundamental theory behind the mathematical formulae together with corresponding physical phenomena; virtualized algorithm simulation together with benchmark real-time FPGA implementations; and detailed, state-of-the-art case studies on wireless applications, including popular linear convolution in digital front ends (DFEs); nonlinear convolution in digital pre-distortion (DPD) enabled high-efficiency wireless RF transceivers; and fast linear convolution in massive multiple-input multiple-output (MIMO) systems.